Join Wine Tourist Magazine for an Exclusive 9 Day Tour of Budapest & Vienna and the surrounding region. Experience the food, culture and wine. The walled wine town of Znojmo in Moravia, Czech Republic. Depart the U.S. on an overnight flight to Europe. Arrive in the capital of Hungary, Budapest (or come a few days early). In the afternoon check into the beautiful Hotel Nemzeti, Budapest for three nights. Our Tour Director will offer a short orientation tour of the area. That evening, join fellow travelers during a Welcome Dinner hosted by Brian and Anne Yost. Following breakfast, a local guide joins us for a tour of Budapest. Our Budapest discovery tour begins at symbolic Heroes Square, a Hungarian war memorial and tribute to its past. We will experience the medieval district of Castle Hill, thirteenth century Mathias Church, Royal Castle and see the impressive Parliament Building, a neo-gothic structure that sits along the banks of the Danube River. This afternoon we have included a food walking tour of the Great Budapest Market Hall. Experience three floors of fruits, vegetables, dairy products, salamis, pickles, fresh fish, Hungarian paprika, Tokaj wines, home style meals and Langos, a Hungarian snack. Enjoy a full leisure day in Budapest. You may want to visit popular sights like, the National Gallery, The Hospital in the Rock and the headquarters of the Fascist and Communist regimes at the House of Terror. Or, take a day trip outside of Budapest and explore the Hungarian Countryside - the choice is yours. That night we gather over an included dinner featuring local wines and live music at a nearby restaurant. Later, we cruise the Danube River and enjoy illuminated views of one of the most beautiful cities in Europe, Budapest. Budapest seen from the Danube at night. We depart Hungary and pass through charming villages and European countryside before arriving in Bratislava, the cultural heart and capital of Slovakia. We’ll have lunch in this jewel of a city before departing for Austria’s capital city, Vienna. In the afternoon we check in at the centrally located Hotel Josefshof am Rathaus for the next four nights. In the morning we explore Vienna with a local guide and see the Parliament buildings, the National Opera House and St. Stephen’s, Vienna’s unique and grand cathedral. Following our walking tour, we will experience the sweet side of Vienna with a Apfelstrudel demonstration as well as a tasting of the famous Vienna Sachertorte cake. The remainder of your day is free to discover the elegance of Vienna, or perhaps you may want to tour Schönbrunn Palace, favorite residence of the Hapsburgs and childhood home of Marie Antoinette. Today we enjoy a day-trip from Vienna as we travel to Moravia’s wine and cultural center in Znojmo, Czech Re-public. Znojmo is one of the oldest royal cities in Europe (since 1226). A local guide will join us as we explore the quaint streets of this medieval town. Later, delight in tasting wine at one of the local wineries. You will also have time to explore Znojmo on your own and stop by a vinothque to sample the local wine. In the evening we dine at a wine bar on the outskirts of Vienna in the village of Grinzing. A wine bar, known locally as a Heurigen, offers traditional foods and wine from the area. The night is sure to be a highlight of your trip to Europe. 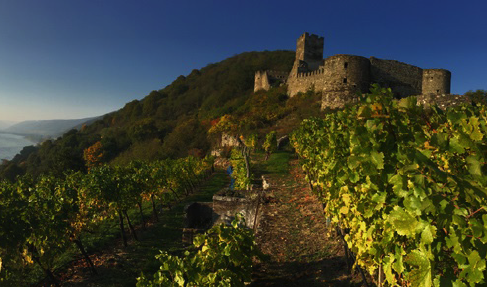 During the day we explore the Wachau Valley, Austria’s most established and notable wine region. We start the day by visiting the Benedictine Melk Abbey founded in 1089. Melk Abbey contains the remains of Austria’s first ruling Dynasty, the House of Babenberg. Later, we explore the village of Durnstein before tasting wine in a nearby winery. We return to Vienna for an included farewell dinner at a nearby restaurant. Following dinner, we are guests at the Kursalon, one of the most beautiful buildings in Vienna. We are entertained by a classical Viennese concert featuring the music of Mozart and Strauss. After breakfast, fly home from Vienna with many memories of our unforgettable experiences in Eastern Europe (Or extend your stay in Europe). This tour was specially designed for Wine Tourist Magazine by Defined Destinations.